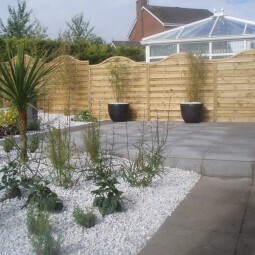 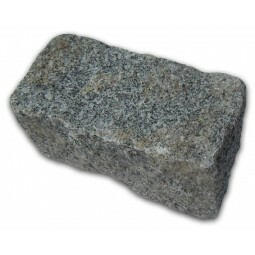 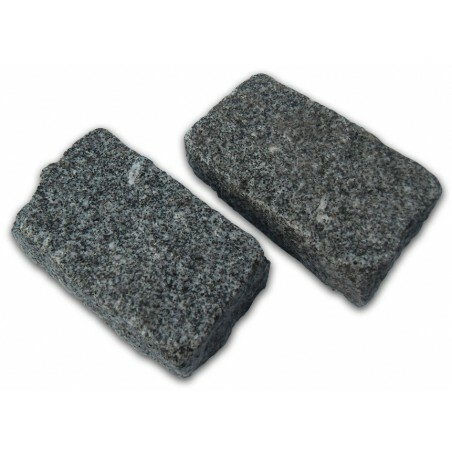 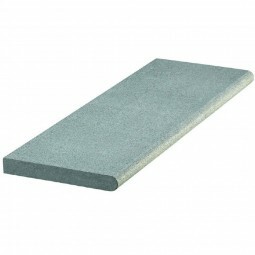 A full or half bulk bag containing 400 or 200 units of medium grey cropped 100x50x200mm granite setts. 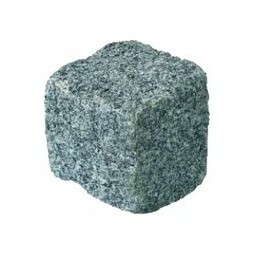 A full or half bulk bag containing 360 or 180 units of medium grey cropped 100x100x100mm granite setts. 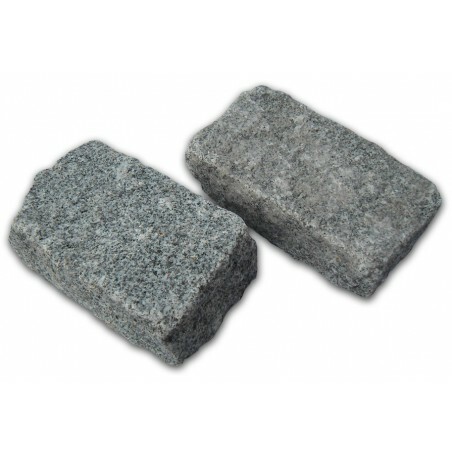 A full or half bulk bag containing 180 or 90 units of medium grey cropped 100x100x200mm granite setts.